Rural areas in Africa have their struggles in getting electricity, kids traveling long distances to get to school, and families even retrieving fresh water. A project manager that’s lived on the continent for over 25 years decided to make a difference by inventing a product that helps solve these issues. Thanks to Solar-E-Cycle, citizens in remote areas now have a method of transportation while also generating their own power from the sun. Roger Christen is the man behind Solar-E-Cycle, a co-founder that’s received funding from the Energy and Environment Partnership to make his e-bikes a reality in Africa. There are several variations of the product that can hold up to three people at a time. For example, bikes that are similar to a backwards tricycle are mainly used for delivery purposes. 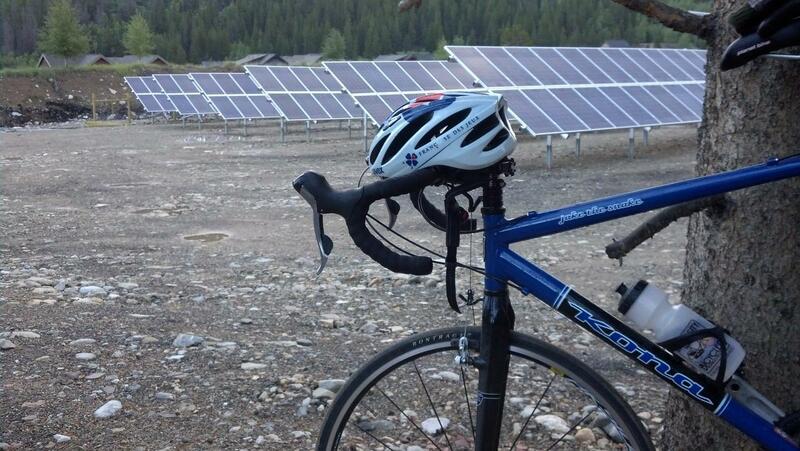 Each bike has an attached solar panel that generates a battery that powers the installed motor. When the bike is fully charged, it can go up to 50 kilometers, or 31 miles, per hour. 31 miles is also the same distance it can travel in a day. For those wondering about durability, the e-bikes can hold up to 300 kilograms, or roughly 661 pounds, when traveling. Not only will the Solar-E-Cycle provide transport, but it can also be a portable solar-powered hub. This will give anybody borrowing the device the ability to use it for lighting or hobbies. Christen told Philippe Mercure of La Presse that the bike could be a “source of income,” citing examples like sewing fabric together or being a hair stylist. Right now, availability will be limited to Kenya, and there will be 70 bikes in operation. While that only cracks the surface of helping over 600 million people in Africa that don’t have power, it’s a great start due to the cheap nature of the bike. Most consumers will likely opt to rent the bike for 50 cents per day. Kenya is also a favorable area for this product as they often have large amounts of sunshine. Christen doesn’t believe that the Solar-E-Cycle will be the answer to all of these problems in Africa. Potential issues just inside Kenya would be the annual “long rain season” that happens anywhere from March to June. Elsewhere, there are roads that would be deemed too unfit for the device to operate on. There are also other companies involved in trying to help Africa. Off Grid Electric was founded by three people back in 2012 with a mission to bring solar energy to those in rural areas. Similar to having low-cost equipment for the e-bikes, this would be the same for solar panels and batteries given to families that either couldn’t afford the electricity already available or didn’t have access to it. Off Grid Electric has nine different investors including DBL Partners and SolarCity, who has fused with Tesla, a company that also aims to make solar panels more affordable.